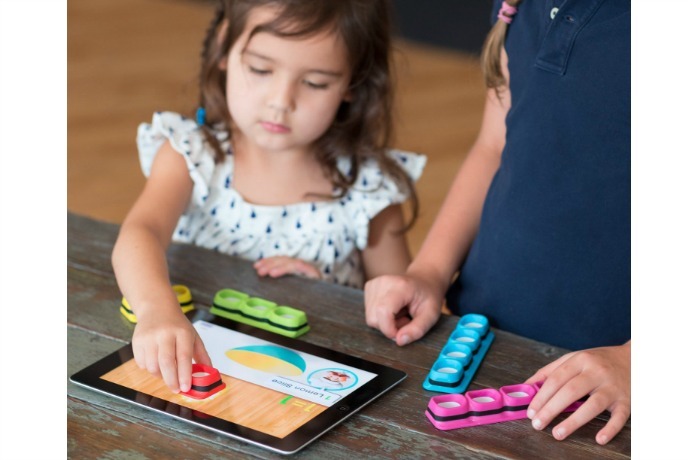 Tiggly Math: One of the best preschool tech toys of the year. Not every toy we buy our kids has to have some sort of “educational component” to it, though I love when I find a great toy that so brilliantly combines play with learning. Such is the case with Tiggly whose Tiggly Shapes was a favorite toy for us in 2013. And now their newly released Tiggly Math gives your preschoolers another reason to steal your iPad. I mean, learn through playing. We love this so much, it made our Holiday Tech Gift Guide as one of the best tech toys and gifts for younger kids. 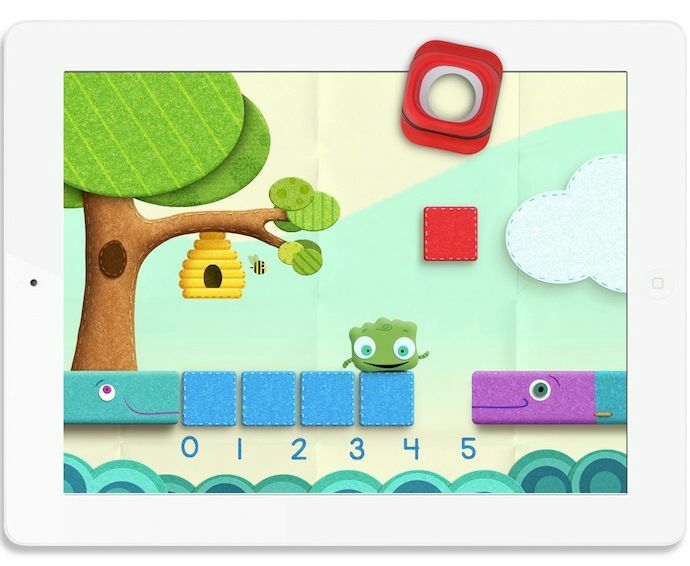 What makes Tiggly Math a great pick for young kids is that it combines what kids inherently love about the technology in your iPad–the interactive play, gorgeous visuals, and fun sounds—with an opportunity to learn more about numbers and develop early math skills. Each Tiggly Math kit comes with five colorful magnetic counting bars that work with three free downloadable apps for the iPad: Tiggly Chef, Cardtoons, and Adventure. They’re designed for kids three and up, but even this 40-something year old mama had so much fun playing with these well-designed apps. 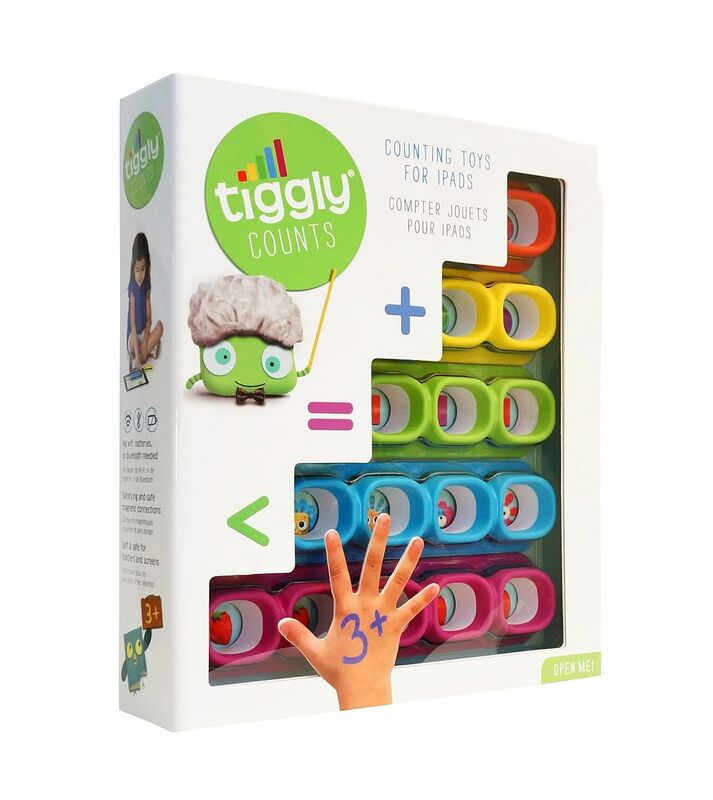 Updated to add: Tiggly Counts is now called Tiggly Math. If you are thinking of upgrading your own tablet and handing down an old iPad to a child for the holidays, you’ll be happy to know that Tiggly Math works beautifully on my “antique” iPad 2. And should you find yourself stuck in the pediatrician’s waiting room without the Tiggly pieces, the apps will still work with little fingers taking the place of the magnetic bars. Yes, sometimes it’s okay to count on your fingers. You can buy Tiggly Math at our affiliate Amazon. The apps are free to download via iTunes. And check out even more of the best little kids’ tech toys and gift ideas in our 2014 Holiday Tech Gifts Guide.